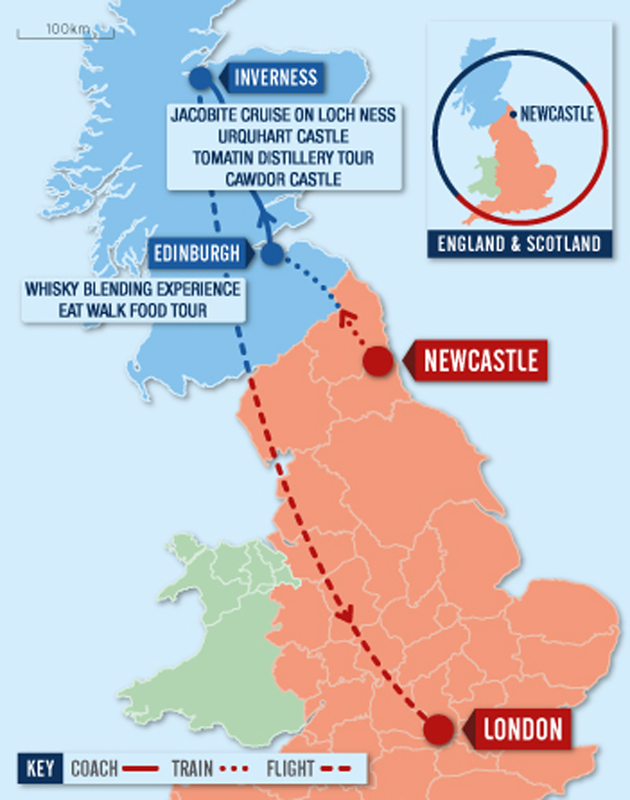 This itinerary starts with a journey on the Virgin East Coast train line, from Newcastle in the North of England, to Edinburgh in Scotland – taking approximately 1.5 hours. BABA, at the Principal Edinburgh Charlotte Square Hotel, is a truly delicious way to start to this trip. The Middle Eastern-inspired dishes here are prepared on a charcoal grill in an open kitchen. No visit to Scotland is complete without a taste of one of its finest exports – whisky! The Scotch Whisky Experience is a must for any whisky enthusiast. 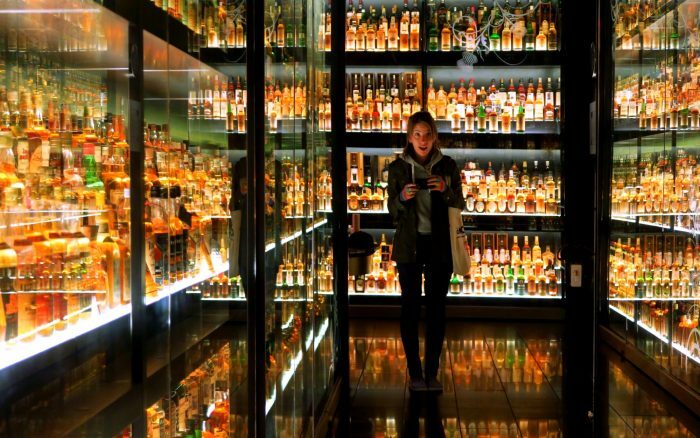 It includes the chance to sample a selection of whiskys and compare different blends, as well as a tour of the world’s largest collection of Scotch whisky. 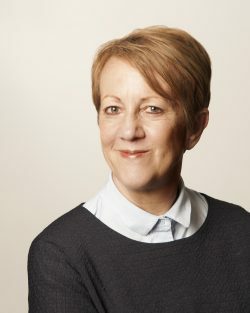 A walking tour is a great way to get to know a city – and with an Eat Walk Food Tour, visitors get a real taste of Edinburgh in more than one way! Taking in Edinburgh’s best foods and incorporating at least five different tastings, this fascinating tour also gives the chance to learn about the quirky history of the city and its vast selection of restaurants, bars and shops. From Edinburgh, it’s northwards to Inverness, with a train ride taking approximately 3 hours and 20 minutes. With delicious, fresh and well thought-out local produce such as west coast scallops and Loch Erriboll langoustine, the Conservatory Restaurant at Kingsmill Hotel, Inverness, is a great choice for dinner. Profile Eat walk Edinburgh tours visit at least five venues tasting locally sourced food with three of the stops also having drink tastings. The guide will talk about the history of the area and recommend other places to visit after the tour is over as you walk between venues. Profile The Kingsmills Hotel is a fabulous four-star luxury hotel in Inverness. Set in the beautiful Scottish Highlands, we offer a variety of extremely luxurious rooms, impeccable dining options and good old-fashioned Scottish hospitality to all our guests. Inverness is the capital of the Highlands. A walking tour of this small city takes in landmarks like Inverness Castle, the Victorian Market and the Old High Church Cemetery – showcasing its beautiful landscapes and history. Castle Viewpoint is the newest attraction in Inverness, with a viewing platform which boasts panoramic views of the city below and the wild landscapes beyond. The Loch Ness Monster (or Nessie!) is known across the globe. A one-hour Jacobite cruise across Scotland’s most famous loch reveals the legends and tumultuous history of these waters as well as the chance to learn how Nessie’s story began. The tour also includes a stop at the stunning Urquhart Castle, one of Scotland’s largest fortresses, bursting with medieval tales of battles and banquets. Built in 1838, the traditional Loch Ness Inn is an authentic place to stop for lunch. Its charming Lewiston restaurant has a wood-burning stove and serves hearty Scottish fares, made with locally sourced ingredients. After lunch, it’s on to discover the history of some of Scotland’s award-winning spirits at the Tomatin Distillery. A guided tour here offers the chance to see how whisky is made, reveals some of the secrets behind the flavours and offers the chance to sample some of the best single malts. Profile Discover more than 1,000 years of stirring history centred on the Great Glen. The magnificently situated Urquhart Castle, on the shore of Loch Ness, has seen some of the most dramatic chapters in our nation’s story. Profile Luxury bed and breakfast accommodation near Inverness. Welcome to Loch Ness Lodge, an elegant and intimate exclusive retreat in the heart of the Scottish Highlands overlooking the mysterious and beautiful Loch Ness near Inverness. Bringing together the very best of traditional Scottish architecture and more contemporary design, Loch Ness Lodge is a luxurious, boutique bed & breakfast in a truly inspirational setting. The Culloden Battlefield is where the Jacobites made their last stand, in a desperate bid to return the Stuart monarchy to the British thrones. With its interactive exhibition, a visit promises an insightful and emotional snapshot of the battle here, as well as a look at artefacts from both sides of the conflict. Dating back to the late 14th century, Cawdor Castle is a place of fairy tales and rugged beauty. It is still home to the Cawdor family today, and a tour of the fortress and its grounds showcases just how much it has changed over the last 600 years. After a morning of exploration, it’s time for lunch on the shores of the mighty Loch Ness, at Dores Inn – offering home cooked food and stunning views. A tour along the south side of Loch Ness reveals Dores – well known for being home to Steve Feltham, who has been the ‘Nessie Hunter’ for the last 25 years – as well as the rugged village of Inverfarigaig, the ruined yet historic Boleskine House, and the pretty Falls of Foyers. And no trip to this region would be complete without visiting Camerons Tea Room & Farm Shop – renowned for miles around for its delicious home-made cakes, traybakes and muffins, best washed down with a coffee or cup of tea! A short journey up to Suidhe Viewpoint, gives the perfect photo opportunity. Sitting at 1,200ft above sea level it overlooks the majesty of Loch Ness and the Highlands. Dinner tonight is at the Mustard Seed restaurant – housed inside a converted church! Sitting on the banks of the River Ness, it is the perfect spot for some alfresco dining – as the weather allows – as well as some cosy, hearty dinners next to the open log fire. Profile Visiting Culloden the last hand-to-hand battle fought on British soil takes on a whole new meaning with the opening of an exciting new visitor centre and interactive exhibition. The battlefield itself is now restored to as close as possible that marched on by the two sides on that fateful day. Come and find out why this battle that lasted only one hour changed the way of life of the Highlands and Islands for ever. With the new visitor centre and exhibition now open there's so much more to experience at Culloden Battlefield. With Scottish history that you can touch and see and sense for yourself. Cawdor Castle is not another cold monument, but a splendid house and the home of the Cawdor family to this day. Profile The Dores Inn is the only pub/restaurant spectacularly situated on the shores of South Loch Ness, 8 miles. from Inverness on the B862. As you approach Dores from Inverness, the first thing you see is an iconic view of the loch, and the second,. as you get nearer is The Dores Inn directly by the beach. Profile The Camerons Tea Room & Farm Shop is now open for business on Glenlia Farm in the village of Foyers in the Highlands of Scotland. It is situated a short stroll away from Camerons Holiday Cottage between Inverness and Fort Augustus on the peaceful South side of Loch Ness. Perfectly situated for refreshments while staying in the holiday cottage. It is only a quarter of a mile from the famous Falls of Foyers waterfall. Look out for the sign to Camerons Holiday Cottage, Camerons Tea Room and the highland cattle in the fields. Profile The chefs at The Mustard Seed have close relationships with their suppliers, selecting a variety of produce each week to create a menu of dishes that reflect each season. They use the quality Scottish ingredients to create a modern European menu with Highland influences. In addition to the main menu there is always a great selection of daily specials.